Last week in the midst of celebratory Super Bowl chaos, six Philadelphia transportation projects quietly got a nice boost of funding -- $7.3 million total, to be exact -- that will help further shape infrastructure for everyone who shares the road. The money allocated for Philadelphia-based projects is just one slice of a larger $41.5 million Pennsylvania Department of Transportation (PennDOT) investment in highway, bridge, bike, pedestrian, ports, and waterway project investments that will reach a total of 22 counties. “We are making possible improvements that will bring significant benefits to these communities,” Governor Tom Wolf said in a statement. 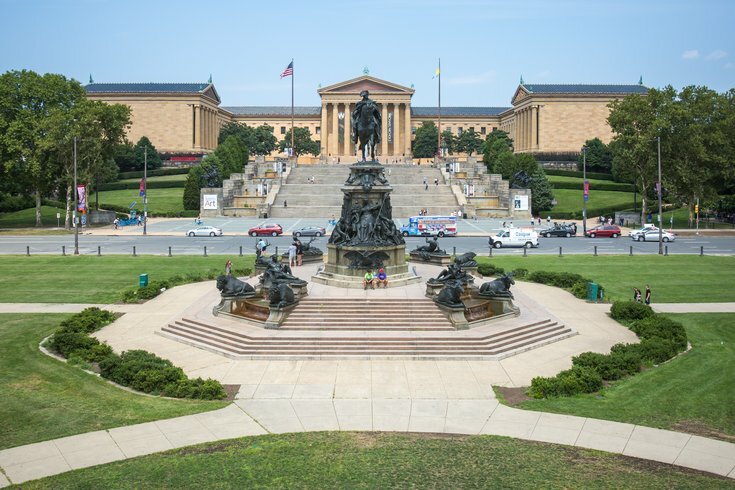 The Philadelphia Museum of Art, which is undergoing myriad renovations, received $3 million from the investment. The money will help improve Anne d’Harnoncourt Drive, offering new connections to Kelly Drive, a school bus entrance, better transit stops, and several other developments to ease both foot and car traffic, including better bike access. The developments at uCity Square got the second highest amount of funding, with $1.5 million allocated to build a new street to help create a safer, more accessible street grid connecting to Market Street. Adams/Summerdale and Roosevelt Boulevard received $1.1 million to improve the “intersection geometry” of the southwestern corner, which is currently difficult to navigate for both cars and pedestrians. The money is designated for the Philadelphia Streets Department. Next Logan Point Roadway received $1 million to help Logan Point Roadway with redevelopment, rebuilding 9th Street and Wyoming Avenue. Pennsylvania continues to invest in Philadelphia’s Indego bike-share program, offering $567,774 to the City of Philadelphia to pave the way for 21 more bike stations throughout Center City. Finally, Bartram’s Mile received $183,750 to further improve the trail through landscaping and a new irrigation system. Check out what other Pennsylvania projects received the latest PennDOT funding here.